Compare at $59625 - Our Price is just $57888! Easy driving dynamics, an excellent superior ride quality and a versatile and cabin space with plenty of passenger and cargo room. 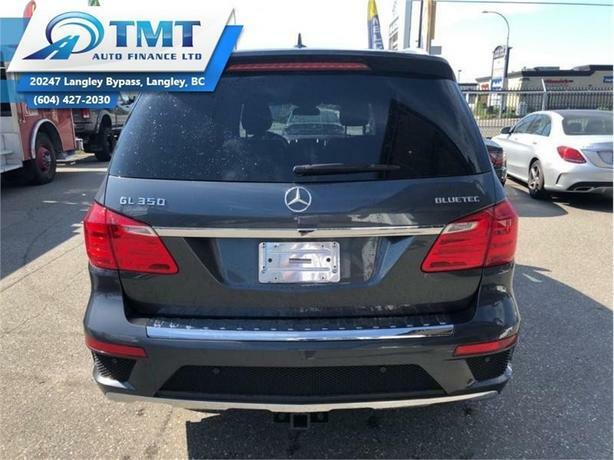 This 2015 Mercedes Benz GL-Class is for sale today in Langley. With a class leading fuel economy, a soft and supple ride that absorbs any bumps and uneven road surfaces and an upscale chic cabin filled with luxurious materials and premium options, there is no reason why you wouldn't want to own one of these amazing SUV's.This SUV has 69808 kms. It's grey in colour. It has a 7 speed auto transmission and is powered by a 240HP 3.0L V6 Cylinder Engine. It may have some remaining factory warranty, please check with dealer for details. Buy this vehicle now for the lowest bi-weekly payment of $377.15 with $0 down for 84 months @ 4.99% APR O.A.C. ( Plus applicable taxes - Plus applicable fees ). See dealer for details.